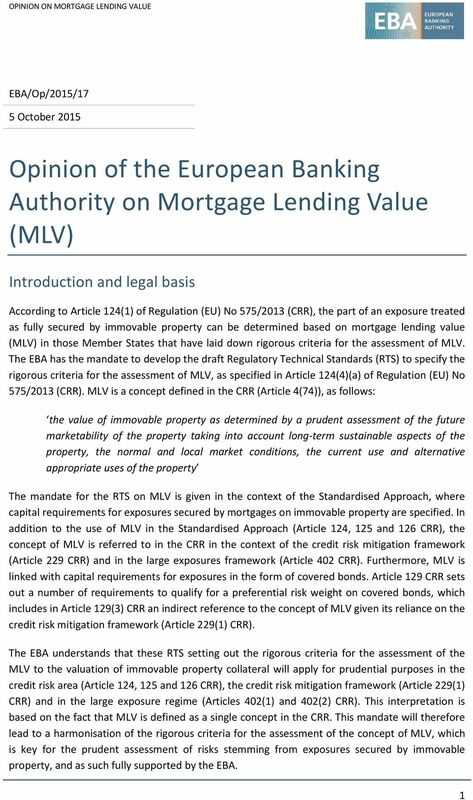 Download "Opinion of the European Banking Authority on Mortgage Lending Value (MLV)"
The EBA s competence to deliver an opinion is based on the sixth subparagraph of Article 10(1) of Regulation (EU) No 1093/2010 2. Before turning to detailed remarks on the questions for consultation, we would like to draw EBA s attention to our key issues and concerns. 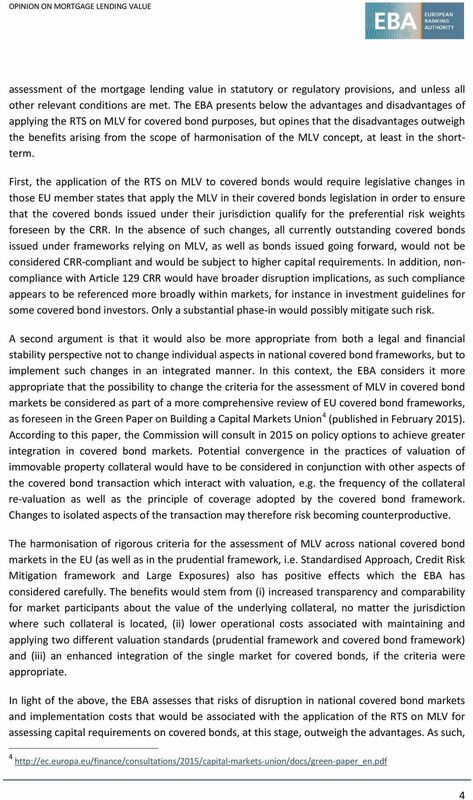 Summary of submissions and final policy decisions on the Consultation Paper: Review of bank capital adequacy requirements for housing loans (stage two) Please note that this is not a consultation document. 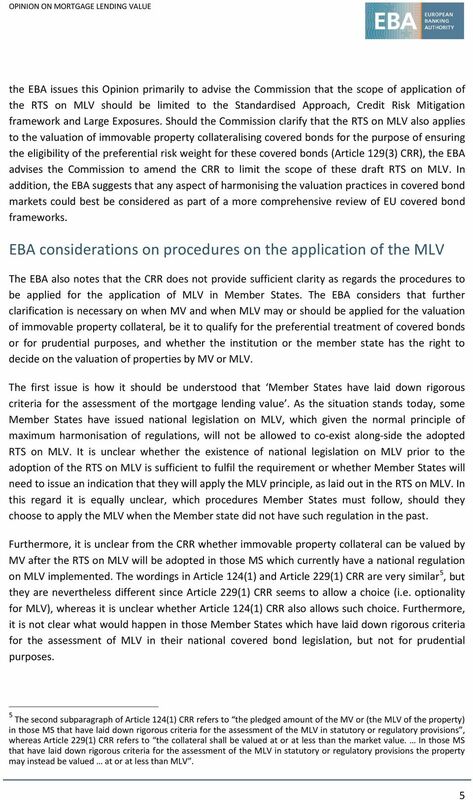 Member States are invited to comment on the questions inserted into the document as well as on the draft directive annexed to this paper. 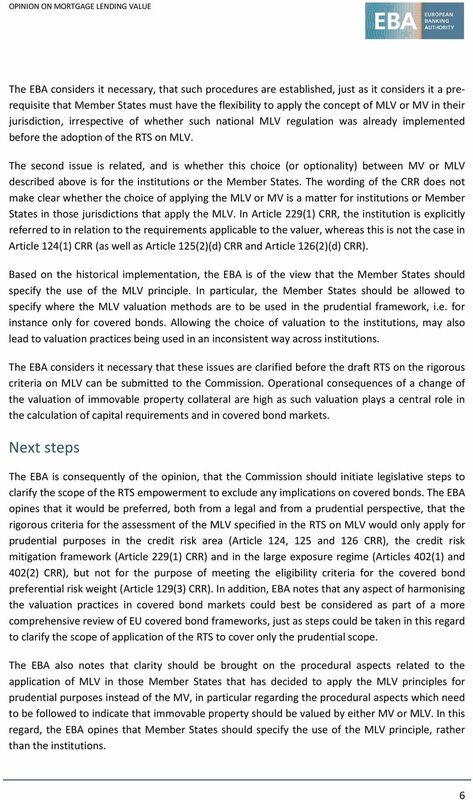 This is a joint reaction of the Netherlands Ministry of Finance, the Netherlands Authority for the Financial Markets and the Dutch Central Bank, each institution with their own role and responsibilities. 5. 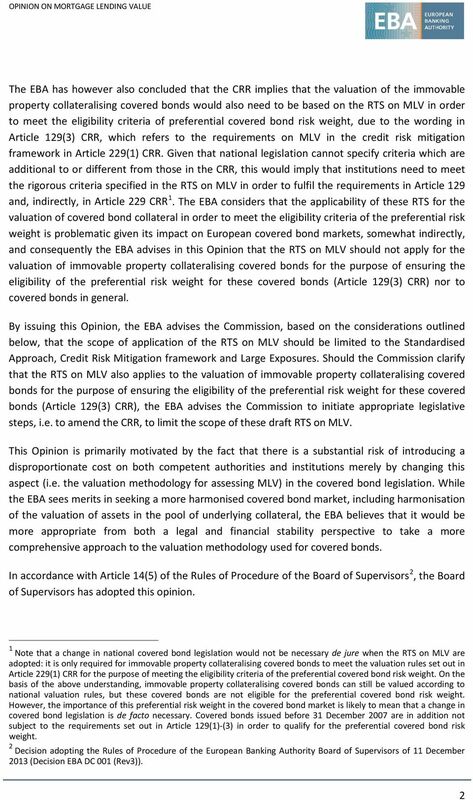 This Opinion is addressed to the European Commission, European Parliament and Council. 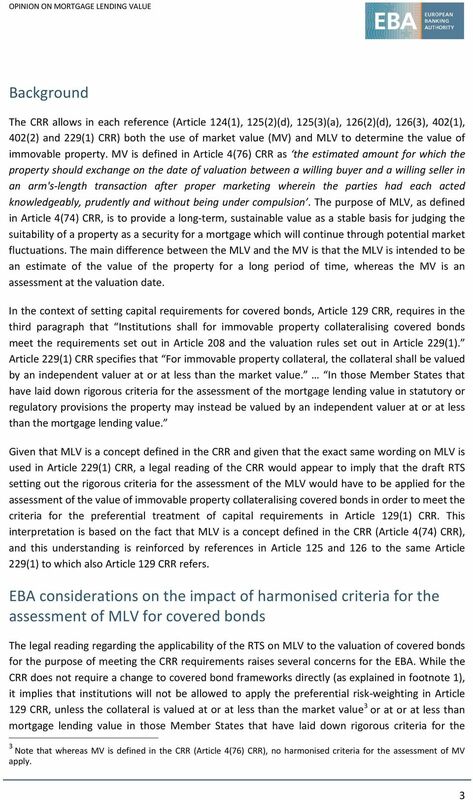 EBA/CP/2014/16 9 July 2014 Consultation Paper Draft Regulatory Technical Standards on the content of resolution plans and the assessment of resolvability Contents 1. 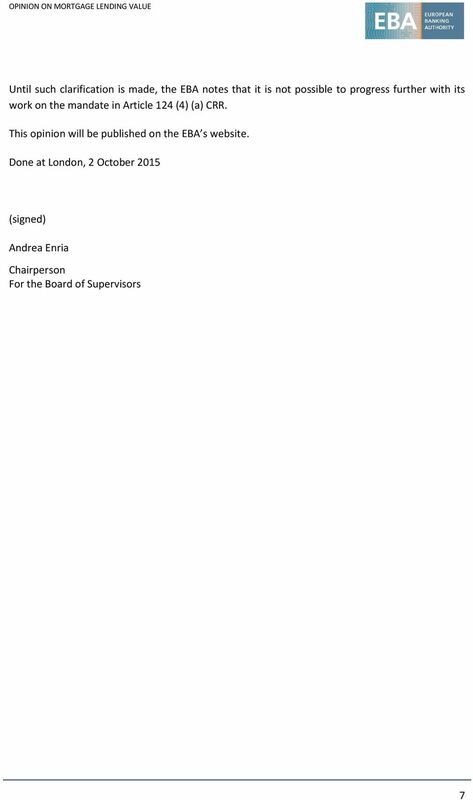 Responding to this Consultation 3 2. Nationwide Building Society Treasury Division One Threadneedle Street London UK EC2R 8AW. Tel: +44 1604 853008 andy.townsend@nationwide.co.